Archive by category "Business Data Recovery"
Businesses need to prepare for any contingency including natural disasters. A disaster recovery plan and a business continuity plan should be on every business’ top “to-do” lists. Your business depends on three things; the accessibility of your documents, the security of your documents and the storage of your documents. Both small and large businesses need to be smart about how they deal with and store their documents. End of the year and of the quarter are good times to update and go over your company’s disaster recovery plan. Your data recovery plan should have the following components. Changes in technology and the implementation of cloud based data solutions should be one of the first steps to consider when updating a data protection program. You will need to stay on top of the changes in order to both secure existing data streams and allow for new applications. When you are facing a natural disaster is not the optimal time to start thinking about data recovery. You need a checklist and to continually think about data recovery as part of your disaster recovery plan. Asigna has 10 point enterprise disaster recovery planning checklist. Their 10 point disaster recovery checklist is primarily for big companies but smaller organizations can also benefit from having a disaster recovery plan. Disaster recovery as a service (DRSAS) plans are available for businesses to use. 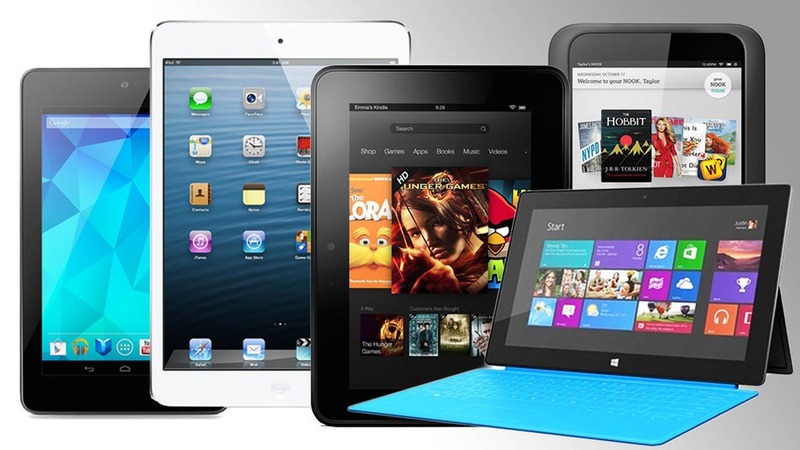 Tablets for business – which is right for you? Before you select a tablet, you should first understand that business tablets will differ from leisure tablets that were more intended for consumers. A business tablet will place greater emphasis on security and analytical features over entertainment. In most cases, a tablet makes more sense than moving around a heavy laptop because working from a touchscreen lets you access presentations, graphs and videos instantaneously. We look at 3 tablets which you could use for your business, for further advice including a data recovery plan for your tablets, get in touch with Evolution Business Data Recovery. 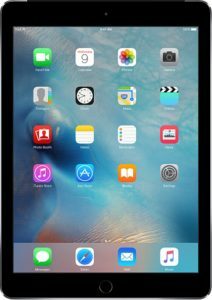 Apple’s best all-around tablet, you have one the thinnest and lightest iPads, but it still has a 9.7-inch display screen that boasts a resolution of 2,048 x 1,536. The iPad Pro 9.7 has a built-in A9X processor, and the iPad has been loaded with two gigabytes of RAM. While lighter than its predecessor, the iPad Pro 9.7 still has the same 10-hour battery life of the past generation model. Weight has become one of the huge selling points of the iPad Pro 9.7 because you can carry it around in a briefcase, and because it is 6.1 mm thin, you will also enjoy greater mobility without performance slowing down when you need it to hit deadlines and communicate with important clients. Dell’s tablet is Android based, and it features a scratch resistant screen that is eight inches and 2560 x 1600 resolution. The only problem that you might encounter with the Dell Venue 8 7840 is how because it includes the Intel chip, Microsoft Office will not be available. Aside from that, if you do not need Microsoft Office, then the performance of the Dell Venue puts it in competition with the Sony Xperia Z3 Tablet Compact and the Samsung Galaxy S5. Boasting stellar hardware, Pixel C can last over 10 hours in terms of battery life, and it has a resolution of 2560 x 1800. One of the biggest highlights of the Google Pixel C is the robust metal that the keyboard dock has been made from, and it uses a magnetic plateto pair and keyboard and tablet. The Google Pixel C runs the latest version of Android 6.0 Marshmallow, and it can last the full work day while letting you play graphically intense games on your commute back home. Choosing a business tablet, the key features to look for include weight, security, performance, applications and battery life. You also have to look at the purpose for your business because different needs will have to be addressed when choosing your tablet. You’ve probably heard the unbelievable story about the man who accidentally deleted his entire company’s and customers’ data. More astonishing is that he also deleted all backups. It seems he coded an “rm –rf” into his script and included the backup filesystems that were mounted. The “rm” command means delete and the “–r” makes the deletion recursive, meaning it deletes the directory and everything underneath of it. Any time you are going to be automating recursive deletions using rm, you need to double and triple check your code and test. In fact, I would quadruple check my work, take a break, and then return for the quadruple check with a fresh set of eyes. If possible when performing something so potentially destructive like this, ask for an independent set of eyes to read over your code, such as a trusted expert or technical forum. There is also no excuse for a lack of testing. Even if one does not have a test server, test the code on a small, unimportant filesystem before letting it loose on yours and your customers’ livelihood. The other obvious problem is with regards to the backups of the data. I know tape may be considered old fashioned, but there is something to be said for the safety of having disconnected backup copies of important data. That being said, disk backups can certainly be utilized, but managed in a much safer way. If the backup filesystems really need to be available to query, they should not need to be writable. There should always be a copy of critical data that is not accessible in the same way active data is. Read more about file system data recovery. The “rm” command does not overwrite blocks on disk, so if no other steps were taken, the data could potentially still be on disk. All activity should be stopped immediately, though, and a reputable data recovery company should be engaged. The company may or may not be able to recover the data. The bottom line is that one always needs to be careful. This does not just include checking and testing, but also setting up safeguards against human error. If backup data cannot be accessed in the first place, a mistake can’t possibly overwrite it. This life changing error could have been prevented by simple checks and restrictions. Data recovery after a disaster can be a headache. You have mission critical information that you need now to run your business. Businesses that don’t plan for the unexpected can expect to fail. A good data recovery plan can ensure that your business remains up and running or is able to recover quickly after a major catastrophe. There are some important components to your data recovery plan that you should consider incorporating at the very beginning stages of creation. The first and foremost activity is to establish where your highly critical data will be stored. This highly critical data is data that if lost would “sink” your business. Establishing where this data will be stored will lesson your headache. The second and equally critical component to consider in a data recovery plan is how your data will be stored. Do you have a back-up plan that stores data off-site? Do you have a back-up plan for data that will be stored on-site? Your critical data needs to accessible. Non-accessible data or data that is difficult to retrieve isn’t going to help your business or your customers. Critical data that can help your business should be recoverable and quickly accessed. Data recovery plans that hold your critical data “hostage” may feel secure, but actually deter both your business and your customers. 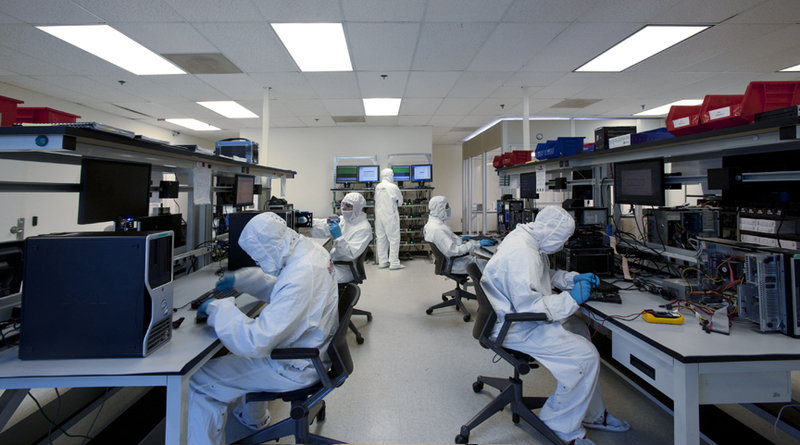 Restoration processes are a key component in any data recovery plan. Software that can store critical data securely and restore data effortlessly is a good investment. In some cases, restoration processes can only recover a fraction of the data. This is why a good data recovery plan takes into consideration the possibility of corrupted discs, networks and other storage devices. The more you plan data back-ups of critical information, the better you’ll be able to restore it. 1.Establish what critical data you need to run your business. Critical data can be personal information, proprietary information and mission critical information. 2.Explain how and where this critical data will be stored. There are both internal and external data storage solutions to consider. 3.Have an accessible network that can bring data back up as quickly as possible or provide a way for your business to continue to in a temporary mode. 4.Have restoration perimeters, so you know what data is being restored. There should be some checks and balances so you know what you’re getting back. Call our experts on 01225 650 137 or 0771 6265 775 for free advice or more information on our data recovery services.